Although the four lighted tennis courts and spa stand at the front of the property, the resort pulls you in the opposite direction. In good weather, the movable glass walls at the front and back of the three-story atrium lobby open completely letting in the soft desert air. As you enter, the lobby falls away in a set of terraces and out into a courtyard behind and views of a the pool, lagoon, the golf course, and the McDowell Mountains. Artwork, both ancient and modern, from all over the world decorates the public spaces, and a Native American and Environmental Learning Center provides insights into Native American life, philosophy, and stewardship of the land. Beyond lies 27 holes of golf and a vast water playground with 10 pools—one with a sand beach—stitched together by such architectural features as stone aqueducts and temples. Lush landscaping belies the desert setting, as do Venetian sandoli—low, flatter versions of a gondola—that ply the waters of the lagoon, pushed along by their singing boatmen. You keep having to glance at the mountains to remember this is Arizona. Jennifer Berk, who runs her own tennis academy, now manages the four lighted courts at the resort. She offers private lessons and clinics as well as customized programs for groups and teams. Courts & Fees. 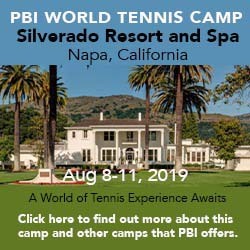 A winding path through some pines and shrubs leads to a patio furnished with umbrella tables and an open-air counter that is the staging area for the tennis operation on four hard courts adjacent to the spa. There's no pro shop as such, though essentials like balls, grips, rental racquets, and restringing are available at the courts, as are restrooms. Court Fees: included in resort fee. Golf Courses. The Hyatt has three nine-hole golf courses—Dunes, Arroyo, and Lakes—a full service practice facility, and a clubhouse with a boutique and indoor/outdoor restaurant. Dunes: The most reminiscent of Scottish terrain. Par: 36. Length: 2,416-3,238 yards. Arroyo: The longest and most open of the courses, with a meandering desert wash as a natural hazard throughout. Par: 36. Length: 2,753-3,424 yards. Lakes: Varied terrain in a gardenlike setting that wraps around a variety of water hazards. Par 36. Length: 2,577-3,376 yards. Spa & Fitness Center. The Hyatt's Spa Avania offers a variety of massages, facials, and wraps. Its fitness center encompasses two workout rooms, with mirrored walls and windows on the foliage outside. One contains a set of 10 Cybex Galileo stations plus free weights and dumbbells, the other with a baker's dozen treadmills, Stairmasters, and other cardiovascular equipment. And ... The water park covers some 2½ acres and encompasses 10 pools altogether, including the large main pool with a sand beach and a three-story waterslide in a clock tower. Elsewhere there is a 16-foot-wide Jacuzzi and four plunge pools beneath a stone temple, a water volleyball pool, a lap pool for swimmers, pools for two people, an adults-only pool, and much more. There are also jogging and cycling trails in and around the resort. Camp Hyatt Kachina operates daily year-round for kids ages 3 to 5 and 6 to 12. Its program has an Arizona theme, from exploring the states flora, fauna and geography to its peoples and history with such activities as Navajo beadworking, reptiles of the desert, cowboy storytellers, and cactus scapes. The resort has 493 guest rooms and suites on its four floors. Their decor reflects the surroundings in a palette of copper, eggplant, and sand tones. All have private balconies. There are also a dozen one- or two-story casitas with two or four bedrooms, wet bars, and refrigerator/freezers. The signature restaurant, the Golden Swan, features what they call "World Market Cuisine," a combination of seafood, meats, and fowl. There is also the Southwestern-influenced Squash Blossom, Ristorante Sandolo for Italian, and a grill, wine bar, coffee bar, and waterfall juice bar. Travel Instructions. The Hyatt is roughly 15 miles from Phoenix Sky Harbor International Airport (PHX). So far, I haven't received any written feedback on Hyatt Regency Scottsdale Resort at Gainey Ranch. If you've taken a tennis vacation there, I'd like to hear your reactions.